Warning Hazardous Chemicals Aluminum Signs - 12" x 18"
Don’t risk serious injury and prevent harm by posting our Warning Hazardous Chemicals Aluminum Sign in your chemical area. Made of sturdy, heavy-duty aluminum, this sign is ideal for laboratories, business, and hospitals. Choose from square or rounded corners for safety, and select either indoor or outdoor options. 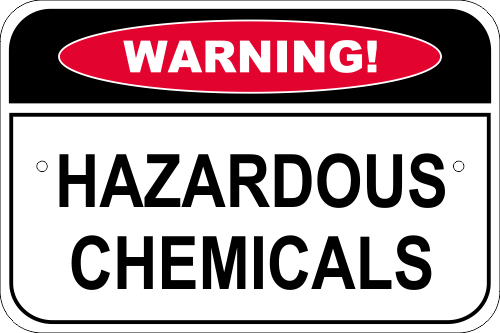 Make sure there are no risks with this Warning Hazardous Chemicals Aluminum Sign! Order now!